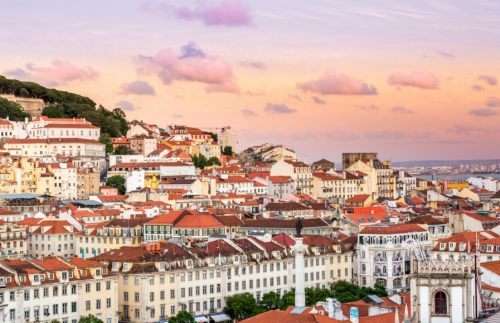 TAP Portugal has dropped the price of their non-stop flights in June, July, August, September, and October from Toronto to Lisbon, Portugal down to $464 CAD roundtrip including taxes. TAP Air's lowest prices include a personal item and carry-on. Bringing a checked bag is an extra $90 CAD roundtrip. You can also find 1-stop flights from Toronto to Faro, Portugal (FAO) and Porto, Portugal (OPO) for $34 more. Just use the same dates that you find for Lisbon. Update 1/19 - Non-stop flights from Toronto to Lisbon, Portugal have returned today for $483 (carry-on only) to $573 (checked bag) roundtrip. But the availability is now in late August, September, and October 2019. Update 2/2 - Non-stop flights from Toronto to Lisbon, Portugal have returned today for $472 (carry-on only) to $562 (checked bag) roundtrip. But the availability is now in late September, October, November, and the first half of December 2019. And January 2020.
toronto, yyz, flight deals, europe, western europe, lisbon, portugal, lis, southern europe, porto, opo, tap portugal, faro and fao. 5 Responses to "Toronto to Lisbon, Portugal - $464 (carry-on only) to $554 (checked bag) roundtrip | non-stop flights"
Thank you for finding these great deals! I just booked and am looking forward to Lisbon thanks to you. No problem Gigi, have fun in Portugal! Gigi did you find summer dates? It seems that all other European City Flights transfers at Lisbon at a cheaper price then going directly to Lisbon for the dates I need. Can one book for example , Toronto to Amsterdam via Lisbon and not board the flight to Amsterdam? If you have only carry-on, you can leave the airport when you get to Lisbon. BUT, if it's a roundtrip ticket, the airline will automatically cancel all remaining legs (such as your flights home). All airlines do this. So you would likely only want to do this if you had a one way ticket each way.